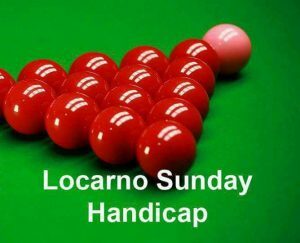 Locarno Snooker Club Handicap Tournament 6:30pm registration. Entry fee is £5 + £3 table charge. All entry fees paid out Handicaps range from -14 to 100 based similar to Edinburgh League. All welcome. These tournaments cater for all abilities and will help improve your game so come along and have a great night.